When I was a kid, one of the first rites of summer was going to the library, signing up for the summer reading program, picking up my official summer reading program log, and checking out that first batch of books. Summer may have been for taking swimming lessons and shelling butter beans and eating dinner on the back screened in porch, but it was also for reading. Nowadays when I go to the library in May or June it's all I can do to keep from picking up one of those neon green reading program logs and outlining my pursuit of the 25 or 50 or 100 book level (of course I haven't read 100 books in a single summer since I left behind the Small family in the children's section). But when I hesitate at the library counter and look wistfully at the summer reading program information and even reach out for one of the logs, my children inevitably roll their eyes and swat my hand in disgust save me from embarrassment and remind me I'm too old for that now. So I don't have a summer reading program log, but I definitely do have a summer reading program. In fact, out of desperation to have some sort of legitimate summer reading program for adults like me, I invented my own a couple of summers ago...at my church. Our women's ministry now has a summer reading program. That's what happens when the leader of the women's ministry has a thing for childhood activities. In light of my love for summer reading, I thought I'd share with you what's on my night stand during these hot months (since my local library obviously doesn't care enough to let me fill out a reading log!). I'm one of those folks that reads about three books at a time, but I usually do finish them all. Maybe you'll find something from my list that will interest you. Girls Gone Wise by Mary Kassian. This is a great non-fiction book based on the Proverbs description of a girl gone wise and her wilder, wily counterpart. Mary always writes with such insight, absolutely amazing at times. And in this book she has really opened my eyes to exactly what defines a wild and dangerous woman and what marks a wise woman of God. Compelling, captivating and fairly easy to read. Great for women of all ages, but I highly recommend it to younger women and teenagers who are just setting out on the path of their choosing. So Long, Insecurity by Beth Moore. I'm just a few chapters into this one, but I'm enjoying it so far. Beth always writes in a very friendly and transparent voice, so you feel more like you're listening to her talk from across the table rather than reading her words. And this subject is obviously one that most of us women deal with on a consistent basis. Beth says it's time for us to mark it off our list though, and I agree. I'm looking forward to seeing what she has to say on the topic. You Can Still Wear Cute Shoes by Lisa McKay. Married to a pastor for over 20 years, I've read most every book ever published about life in the fishbowl of ministry. But Lisa writes with a sassy sense of humor that has been lacking from most of those books. Although I'm not quite finished with this book either, I've thoroughly enjoyed her modern woman perspective coupled with her extremely mature and biblical take on serving alongside (and doing the laundry for) the man in the pulpit. If you're a ministry wife, I highly recommend this book. If you know a minister's wife, and most of you do, this little jewel would be a great gift! Now, on to my fiction selections! 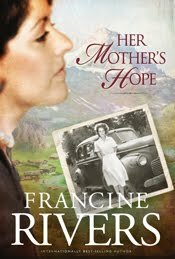 Her Mother's Hope by Francine Rivers. It seems a lot of women love everything Francine Rivers writes. And while I have, quite frankly, lost interest in a couple of her books before I could finish them, I did love And the Shofar Blew. 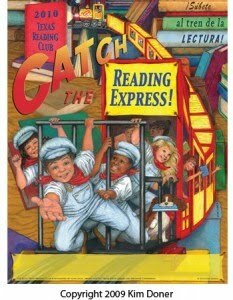 I also loved, loved, loved this book, the first in a two-part series. It's one of those cross generational things where you get to see how one woman's journey, choices, and attitudes greatly affected her daughter's life. I love books that help you see that things are not always as they seem, a little grace could go a long ways, and forgiveness paves the way to understanding, not the converse. If you read nothing else this summer, this is the book to choose! Words Unspoken by Elizabeth Musser. Here's another one that I'm currently in the middle of. (I think that makes four that I'm reading at one time!) Elizabeth Musser, like me, is from the Atlanta area and so I love her references to real places and events in that area. But, unlike me, she's currently serving with her husband as a missionary in France, so she also writes about places and the culture there. This book weaves together the stories of about six or seven people (I haven't stopped to count!) who are struggling with the voices in their heads as they navigate their individual journeys during the 1980s. Don't let the reference to "voices in their heads" alarm you. Let's be honest. We all have them. Those words unspoken often dictate our actions and attitudes with far more power than the words spoken aloud. Whether they are things said to us in the past, the words we imagine others want to say to us, or that little insecure voice from deep within, we all struggle to discern the faulty voices from the true ones. I'm loving this book too! Candle in the Darkness, Fire by Night, and A Light to My Path, all by Lynn Austin. This trio of books, known as the Refiner's Fire series, takes the reader to the front lines of the Civil War from three different perspectives. Candle in the Darkness is about a young woman in the South who sympathizes with and aides in the deliverance of slaves and the victory of the North. Fire by Night is about two northern women - one an impoverished and homely orphan who actually joins the army and fights alongside men under disguise and one a feisty northern debutante who assists in the war as a nurse. And A Light to My Path is the story of two young slaves who fall in love, battle their own personal wars against their slavery, and ultimately find freedom, not only from slavery but from their hatred and wounded spirits. By the time I finished the last book, I will admit I had had my fill of the Civil War. (The author takes you all the way through the war in all three books!) But the different perspectives were very enlightening and interesting. Lynn Austin is one of my favorite Christian authors, no, make that my very favorite. You can't go wrong with any of her books! So that's what I'm reading. However, I doubt that's where I'll stop. After all, I've got to read at least 25 books to get my certificate! Not really. There is no certificate in store for me. But summer is still for reading. I'd love to know what you're reading. We all would. So leave your suggestions in the comment section. 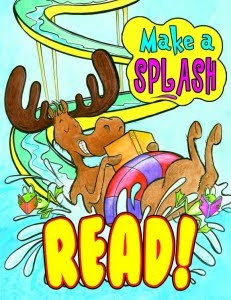 Have a great weekend and remember to take the time to read!